Virgin America is allows pet-friendly air travel as standard. A few years ago, Virgin America launched a new class of service in domestic flights nationwide named Main Canine Select, introduced specially for four-legged clientele. This is the First Class cabin for pets, and offers an interesting list of amenities, such as an open-air cubical that contains a toilet, fire-hydrants, customized air vents situated at each seat that gives the pet a feel of car ride and an entertainment platform, like endless loop of tennis matches. Virgin America also offers “Top Dog” status level that is exclusively designed for four-legged friends who are frequent flyers. This includes a complimentary checked “doggy-bag” among other benefits. American Airlines has special seating for pets, which is known as Cuddle Class. 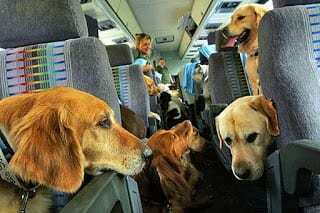 Passengers who are traveling in First Class from Los Angeles and San Francisco to New York City on the carrier’s fleet of A32IT can expect their discerning pets to be seated in the special compartments right next to the owner’s seat. This is the first “pet-cabin” of its kind and is fondly known as “Cuddle-class”. This cabin should be reserved at the time of booking and documentation from a veterinarian is a must. JetBlue airline doesn’t just tolerate pets of a certain size, but they also roll out the perks, making travel an enjoyable experience for pet owners. JetBlue has been flying pets since 2000, and they offer a list of travel accessories, services and pet travel guides who can assist. JetBlue flies’ pets in the cabin and not as cargo, so owners of small dogs and cats are the primary pet customers. The weight of the pet and the carrier combined cannot exceed more than 20 pounds. JetBlue updates a blog called Blue Tales that is filled with fun posts and the occasional pet story. KLM (Koninklijke Luchtvaart Maatschappij) treats dogs and cats with the same level of comfort and attention as their passengers. They transport your furry pets in climate-controlled, pressurized compartments, ensuring the health and well-being of your companions. During transit, cats and dogs are temporarily kept in larger kennels and are given food and water. They have well-trained staff to take care of all the animals with an emphasis on safety, comfort, and hygienic environment. 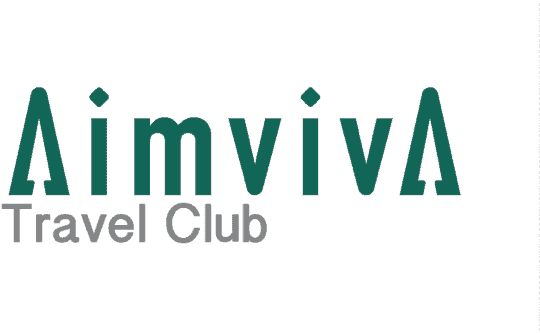 Czech Airlines pet policy permits the transportation of small cats and dogs in the cabin in compliant carriers. This airline makes a special exception for rescue and police dogs on duty, as well as assistance dogs for passengers who need them. These animals are carried in the cabin more favourably, without a crate, and at no additional charge. If your pet is other than cat or dog, and is too large and cannot fit under the seat, or if it is a very long flight, then Czech Airlines may transport your pet in the cargo section of the aircraft. This section of the cargo department has the same air pressure and temperature as the passenger cabin.